Vodafone's taking on quite the beating from their customers lately. Two (seemingly big) issues come to light here. Firstly, Nexus One owners with the carrier are angry because they've yet to receive the upgrade to Android 2.2 as timely as those in America have. With the delay comes the question "so what's taking you so long?". That's where problem number two comes into play: Vodafone's modifying the firmware upgrade before they gear up to launch it for their Nexus-toting customers. 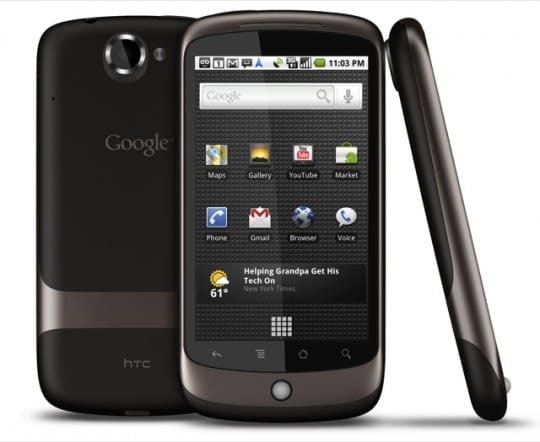 Afraid that Vodafone might be omitting key Android 2.2 features such as internet tethering and hotspot capabilities, those customers have taken it to the official FroYo Nexus One thread on the carrier's forums. After a large thread of confusion and miscommunication, it's said that the modifications are to ensure MMS and Voicemail features are working properly before Vodafone would have to eventually deal with a large influx of customer complaints. Who wouldn't want their carrier looking out for the best interest of their device, right? Wrong! A lot of the uproar stems from the supposed fact that Vodafone promised Nexus One purchasers (in voice and in writing) that they would not be touching any firmware updates for the device (and apparently they don't care if that right would come at the expense of a buggy launch). As they understand it, all updates should be coming directly from Google. It's not unreasonable to want that, while at the same time it's unreasonable to expect Google to bake FroYo in such a way that it behaves perfectly on any carrier in the world without a hitch. Sometimes things need a little bit of tweaking, and if what Vodafone says is true, then it's just a harmless precaution. When they finally push the update out and you can't find an option to tether for the life of you, then we'll begin to panic.